The job market currently is quite fierce. To help Habib University (HU) students navigate their way through it and transition from a university experience to a professional career, the Office of Career Services regularly holds information sessions and recruitment drives. The preeminent example of which is HU Career Connect, where students are provided with a platform from where they can directly engage with recruiters from numerous leading industries. This year’s HU Career Connect was held on the 30th of March, 2019, and welcomed over 70 organizations from different industries, ranging from energy, banking, media, multinationals, technology and manufacturing. 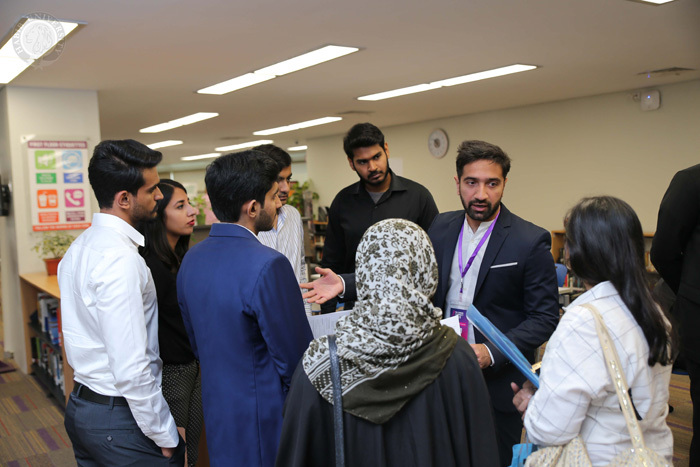 Habib University students discussing opportunities with a representative from Pak Suzuki Motor Company. Each organization was given a station at HU’s state-of-the-art campus, which allowed recruiters to conduct on-spot screening interviews, collect resumes and familiarize students with their opportunities and hiring processes. As a result, students were put in direct consideration for a host of internship, trainee and full-time opportunities. The company representatives also guided the students regarding their career choices and market demands. The event had a promising response, with over 70% of HU students from the 2019 and 2020 batches attending, and showed a great level of interaction from the student body. Habib University students engaging with representatives from different companies. When asked about their experience, a Social Development and Policy student said, “Career Connect has refined my view about what firms are in the market for me. 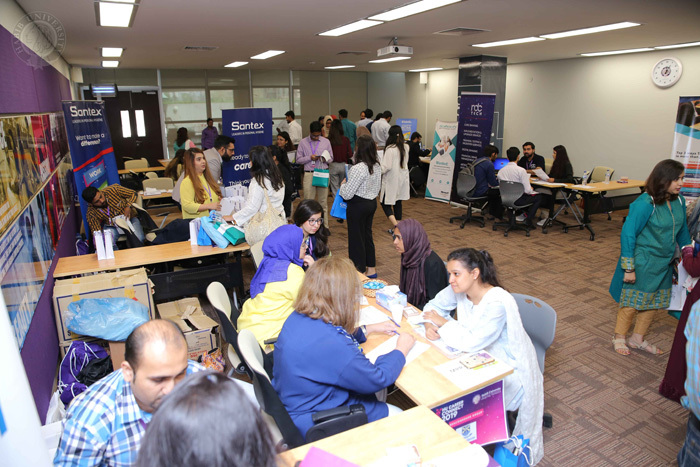 HU Career Connect saw a large number of students and alumni turn up to engage with over 70 companies. 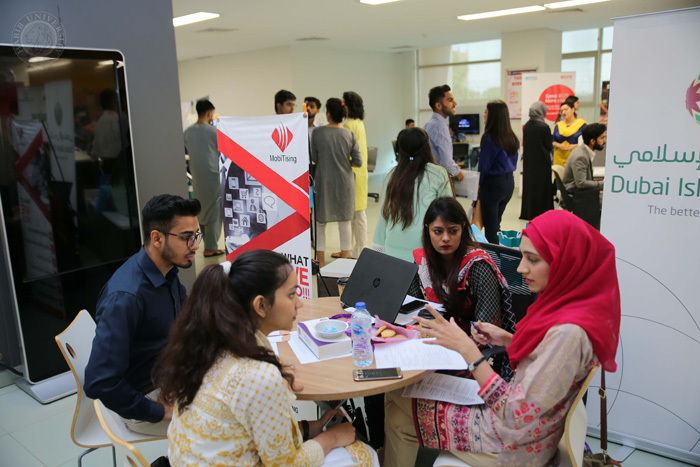 Representatives from Shell Pakistan Ltd. also praised the event and said, “It has been a good experience, interacting with young leaders of Pakistan…. I think this is an excellent opportunity for the students of Habib University to match their existing skill sets with the demands of the industry. 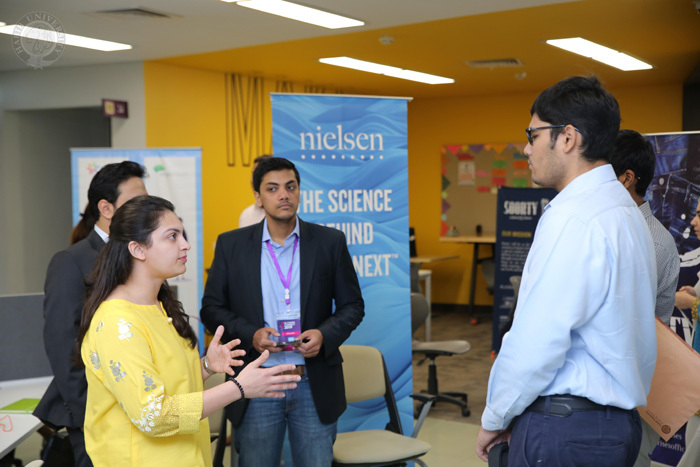 Habib University students listen intently to representatives from Nielsen. This year’s event was a marked improvement from last year, with many more students and prospective employers participating. It also demonstrated HU’s commitment to providing its talented students’ with even greater opportunities in the future is continuing to bear fruit.